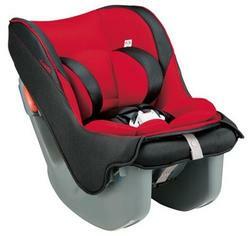 The lightweight and compact Coccoro convertible car seat is perfect for smaller fuel efficient vehicles. Three Coccoros can be used together in the back seat of most compact cars or two on the sides with room for an adult to sit in between them. With features like Tru-Safe? 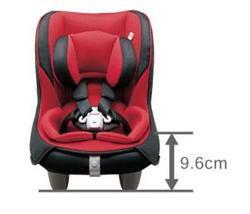 Buckle, forward and rear-facing lock-offs, energy absorbing EPS foam, 4 position height adjustments and 5-point harness with padding, you can rest assured that your little one will be safe and secure. Weighing only 11 lbs, the Coccoro is significantly lighter than most comparable car seats, which means transporting will be a breeze. An added feature is the adjustable infant insert, keeping smaller children nice and snug. 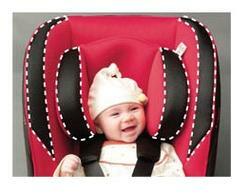 And, the single-pull adjustable harness system, shoulder belt retainers and washable seat cushion add convenience. Staying at best position " Dacco " cushion and effective minimize the body stress to make child staying more relax by giving the comfortable seat position.